If you believe that Germans have massive bowls of freshly-prepared muesli for breakfast, march through the forests and up the mountains in ergonomic sandals and up and down cold water-basins barefoot, and are partial to extremely emotional music about love and death – you are right. And you know more than I knew when I lived in Germany, because you do not notice what you grow up with: you think it’s natural. If you have an idea that the German way of upbringing, education, and training is very different from the British one, you are also right. Schooling starts, for instance, much later and with shorter hours: most Germans still recoil from the thought of sending children to nursery school before the age of three, to primary school before the age of six, and to anything like full-time school before the age of ten, for secondary education. The curriculum in Germany is broad, as regards academic subjects. If you leave school at 16, you will have a systematic overview of fields like history and biology and be likely to speak English and French fluently. If you want to reach university at all, there is no way round advanced mathematics, and if you are interested in a humanities degree, you better start learning Latin betimes. 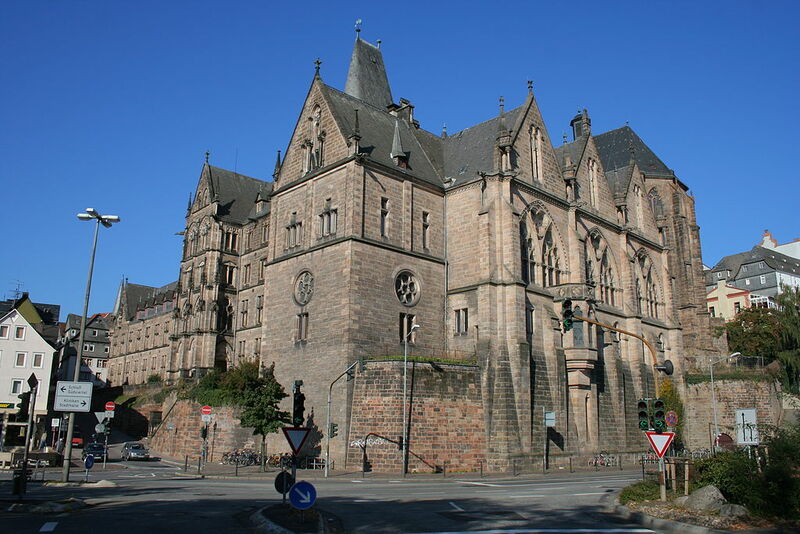 Department of Theology at the University of Marburg. (Main building 19th c., church 13th c.). By Willow (Own work) [GFDL, CC BY-SA 3.0 or CC BY 2.5], via Wikimedia Commons. You will have heard that vocational and professional training in Germany is lengthy and thorough, combining theory and practice. Teacher training, for example, lasts two years, and that after a degree course already covering education and social sciences as well as the subjects you want to teach. To become a library assistant, you would also have to train two years, after comprehensive sixth-form studies. Yet while qualifying, you would not pay for your education, you would get paid for your labour! Germany also has a very special past, because it consisted of many – at times over a hundred – smaller states and more recently was divided for almost half a century. 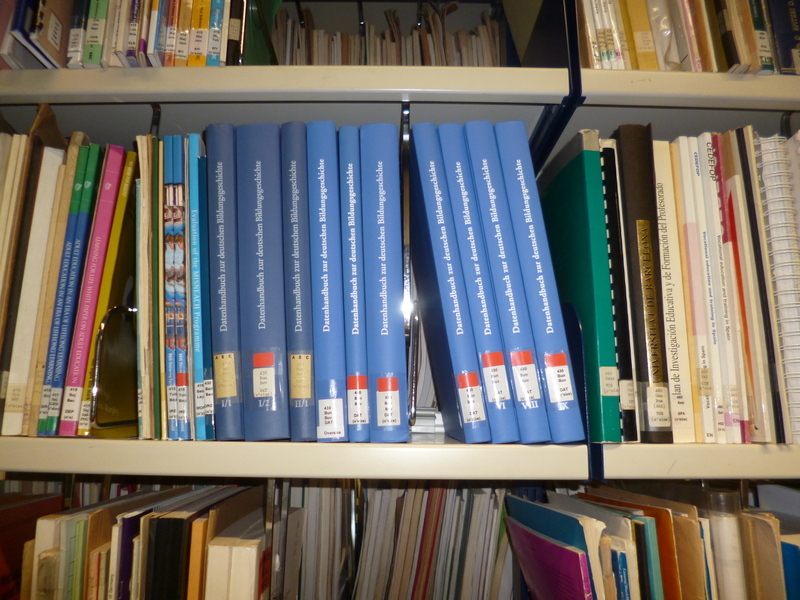 If you want to find out more about German society at the Newsam Library, check the UCL catalogue Explore and our shelves in the Comparative Education Collection. For more information, Barbara Sakarya has set up a whole LibGuide on International Education, to which I have contributed the Country Focus: Germany. The Newsam Library is one of the few places in the United Kingdom to hold volumes of the Datenhandbuch zur deutschen Bildungsgeschichte. This entry was posted in International education and tagged Comparative Education Collection, educational systems, Germany, history of education, International education, vocational education. Bookmark the permalink.